Hi, my name is Vickie and I'm an sunglassaholic. Oh, you're one too? Nice to meet you. Since we're being honest and all, I'm OK with my addiction — heck, I see no reason not to enable it each summer. This year's conquest? The aviator. I couldn't quite pull them off when I was banging (err, had bangs), but now that I'm all side-swept and all, it's gonna happen... Even if that means baby steps (aka shelling out $15 for Joe Fresh versus splurging on Ray Bans), I'm committed to the cause — who's with me! LOL.... 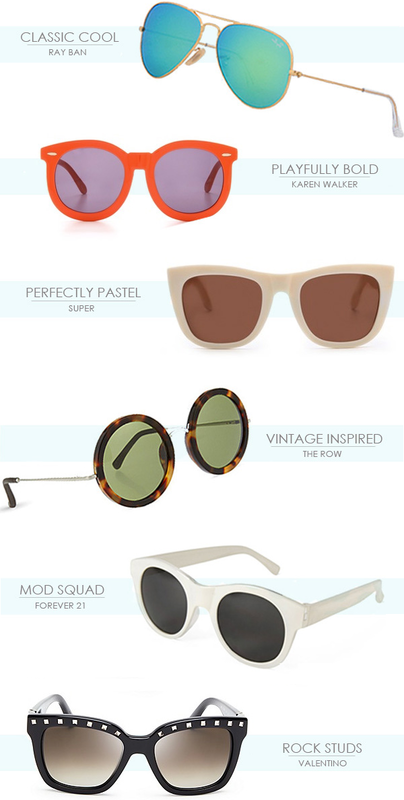 I am a fan (err...sunglassaholic) too!